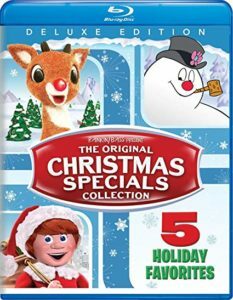 The Blu Ray Disc, Deluxe Edition of The Original Christmas Specials Collection is wonderful. It brings back so many memories, and now I’m making those memories with my children. Even though my daughter is in her 20s, she still loves to sit down and watch these animated flicks with my 7 year old, and me. 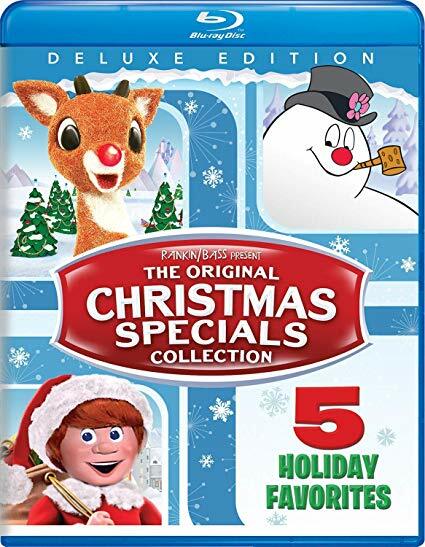 My favorite has always been Frosty the Snowman, while my daughter’s favorite is The Little Drummer Boy, and Jacob, my 7 year old, well he’s not sure which one he likes most. We’ve watched this Blu Ray about 15 times already, but I keep wanting to go back for more. And, it’s so cute, that I’ve ordered one for my best friend’s daughter, for Christmas. There’s tons of bonuses on this Blu Ray, and the discs are inexpensive. Get yours in time for Christmas. I can never stay up late enough, yes 8pm is late to me, to watch these on tv, so I now have the discs and can watch when we are ready. 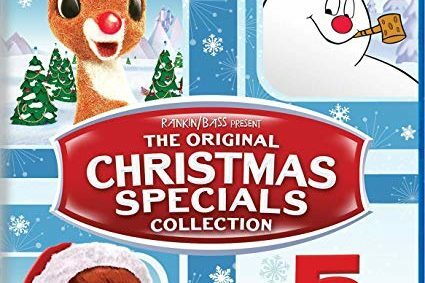 ‘Tis the season to enjoy the timeless holiday classics in The Original Christmas Specials Collection featuring five unforgettable stories. Produced by Rankin/Bass, Rudolph the Red-Nosed Reindeer, Santa Claus is Comin’ To Town and The Little Drummer Boy feature iconic “Animagic” stop-motion animation and Frosty the Snowman and Cricket on the Hearth are beautifully animated. Starring the voice talents of Fred Astaire, Jimmy Durante, Mickey Rooney, Danny Thomas, Burl Ives and many more, these favorites also feature some of the most beloved songs of the season and are sure to entertain audiences of all ages for generations to come! 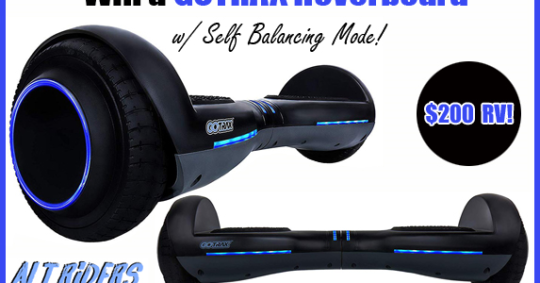 *AltRiders GOTRAX Hoverfly ION LED Hoverboard Giveaway! a passion for hoverboards, electric scooters, electric bikes, and anything on two wheels! Hover Board w/Self Balancing Mode! A $200 RV! 4) PERFECT FOR ALL RIDERS – This hoverboard isn’t just for kids! systems tested & certified to UL 2272 safety standards. Welcome to the Ugly Christmas Sweater.com Holiday Giveaway! My son loves Blaze! This is a great DVD, and we will be watching it over and over! Good Luck! 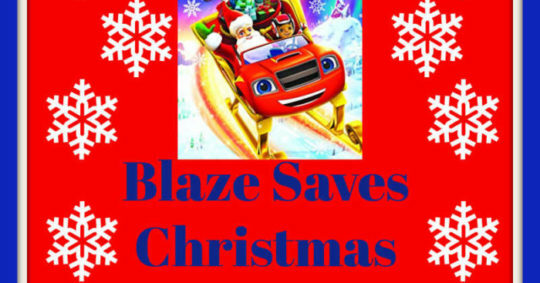 Welcome to the Blaze Saves Christmas Giveaway! This giveaway is in no way endorsed, affiliated, or associated with Facebook, Twitter or any other Social Media Networking Site. You are not eligible if you have won a prize from this sponsor in the last 12 months. This Giveaway is valid in the United States Only and Entrants must be 18+ years of age to enter. This giveaway event will end at 11:59 PM (EST) 11/19/18. The winner will have 48 hours to email their information back to SaraLee at s8r8l33 at yahoo.com or a new winner will be drawn, you may want to put this email address as safe as it could go to spam. The sponsors are each responsible for shipping of the above prizes. No blog associated with this contests are responsible for prize fulfillment.If you would like to be a sponsor in a giveaway like this please email SaraLee at s8r8l33 at yahoo.com. If you take an entry you must stay following for the entire contest or you will be disqualified. We always put time aside to watch the Nightmare Before Christmas, leading up to both for Halloween and Christmas. We sat down to watch it, but this time with a sing-along edition of the movie! 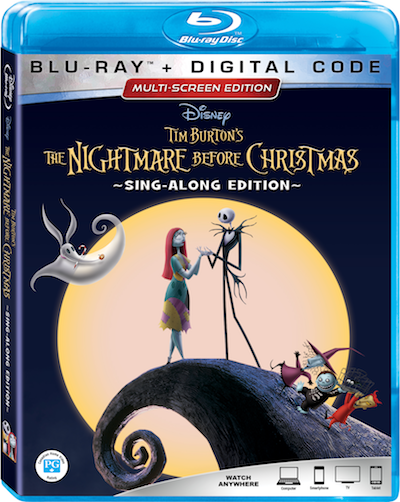 This DVD is a sing-along edition, and has a digital redeem code as well. It includes deleted scenes, the making of the Nightmare Before Christmas, and an audio commentary. We all sat down, including my daughter, son, and husband to watch this incredible movie. We loved the deleted scenes, the audio commentary with both Tim Burton and Danny Elfman, and the other extras this DVD has! Anyone who loves The Nightmare Before Christmas needs to pick up this DVD, especially if you haven’t watched it yet, you’ll be in love with the characters the moment it begins to play. 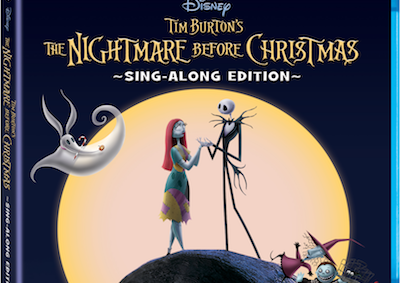 Experience The Nightmare Before Christmas, the fun-filled musical fantasy from Disney and creative genius Tim Burton, like never before in a spirited, full-length, Sing-Along Edition! Featuring a marvelous mic of memorable characters and 11 ghoulishly captivating songs by Danny Elfman—its frightful fun for the whole family. Rattle your bones and jump for joy — it’s the 20th Anniversary Edition of THE NIGHTMARE BEFORE CHRISTMAS on scare-ific, spooktacular Disney Blu-ray! Bored with the same old scare-and-scream routine, Pumpkin King Jack Skellington longs to spread the joy of Christmas. 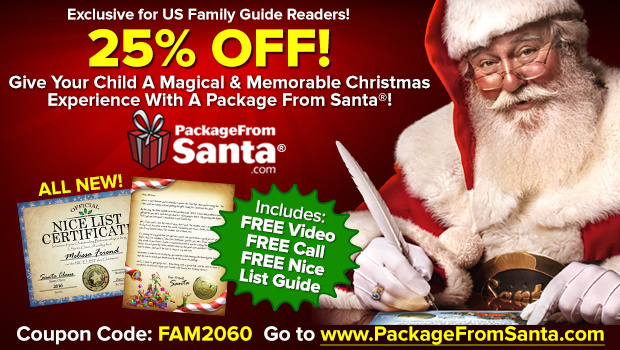 But his merry mission puts Santa in jeopardy and creates a nightmare for good little boys and girls everywhere! Hear the genius of Danny Elfman’s sensational music in 7.1 Surround Sound as the fantastic talents and imaginations of Tim Burton and Henry Selick come to life in stunning Hi-Def. DALLAS (Oct. 3, 2018) – With the holidays just over the horizon, Dallas-based Cowboy Chicken is once again prepping its beloved mouthwatering tradition, the Wood-Fired Rotisserie Turkey Holiday Package. This Texas-sized feast feeds eight to 10 guests with one 10-12 lb. 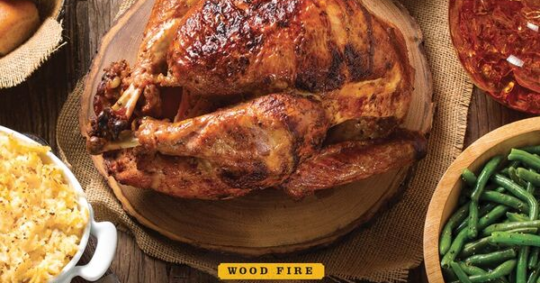 wood-fired rotisserie turkey, Twice Baked Potaters™, choice of Wild West side, country-style stuffing, 12 fluffy dinner rolls and peach or apple cobbler, all for $99.99 (tax not included). Guests can also order the turkey à la carte for $44.99 (whole turkey) and $49.99 (sliced). 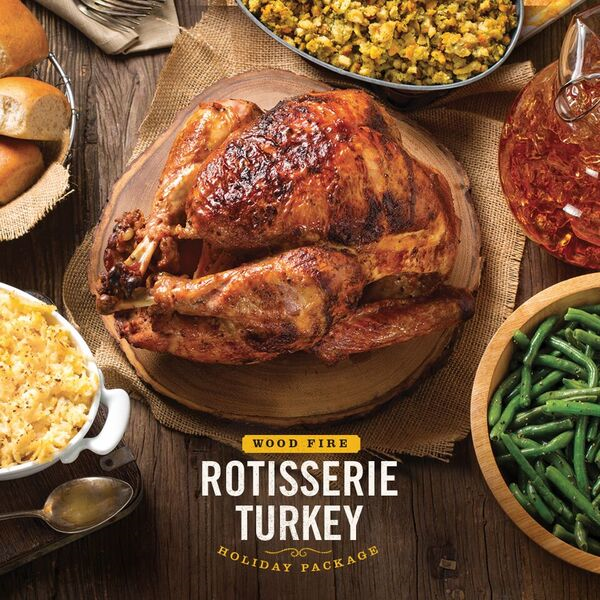 Guests are encouraged to order their Wood-Fired Rotisserie Turkey Holiday Packages early, as this popular Thanksgiving Day staple sells out every year. But they don’t have to wait until Thanksgiving or Christmas Day to enjoy this bountiful feast; the holiday package is available Oct. 1 and can be ordered at all Cowboy Chicken locations through the end of the year. 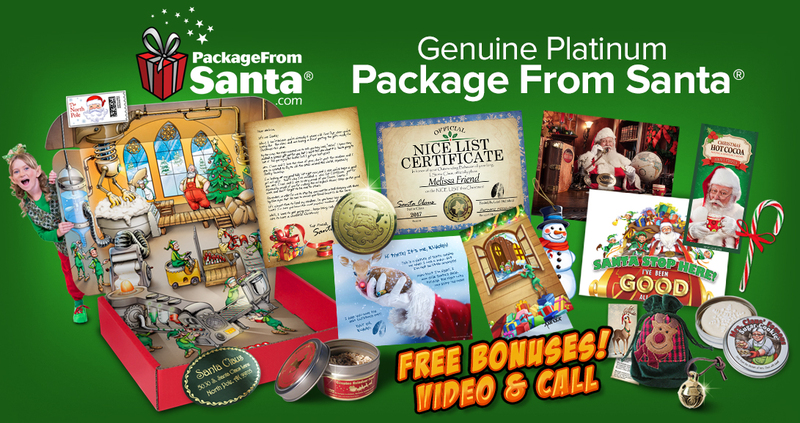 Orders require at least 48 hours’ notice, and availability is limited on Nov. 21 and Dec. 24. Cowboy Chicken is closed on Nov. 22 (Thanksgiving Day) and Dec. 25. To make this limited-time promotion even sweeter, Cowboy Chicken is also serving hot apple cobbler made fresh daily and honey orange tea (a simple black tea married with orange and finished with subtle hints of honey and spices) through Dec. 31. For more than 30 years, Cowboy Chicken has been serving all-natural, hormone-free rotisserie chickens that are hand-seasoned in store, marinated for 24 hours and then slowly roasted for two hours over a real wood-burning fire. Other dishes include signature sour cream tomatillo chicken enchiladas, abundant scratch-made sides such as Twice Baked Potaters™, Baked Mac & Cheese, Ranchero Beans and seasonal cobblers baked in-house daily. 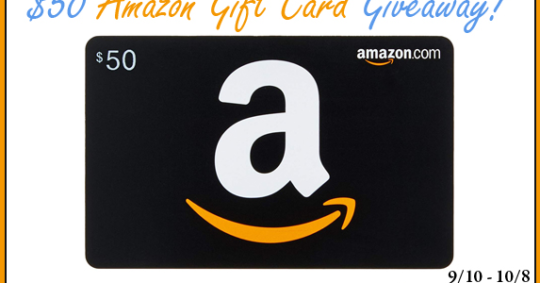 Amazon Gift Card $50 ~ YOU could win! reviews for confident purchasing decisions. splurge on yourself! After all, we deserve a treat every now and then too! please contact LoveMrsMommy (at) gmail (dot) com. 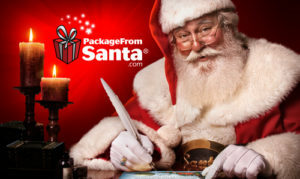 Jacob, my 6 year old, received a Package from Santa the other day. He just adores it! He loves Mrs. Claus’ Cookie, and the Reindeer feed, the most. He also loved his video, that is personalized for him. You can get this wonderful package for your little one, and they will believe like they never have before. It’s even post marked from the North Pole, and Santa Claus, himself. 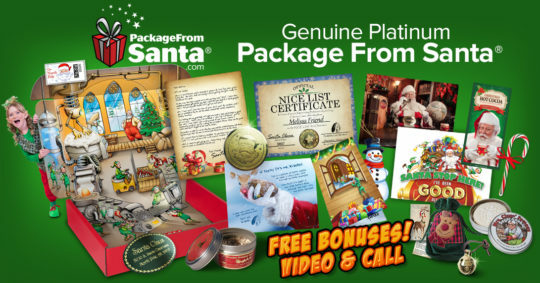 There was a good list certificate, and a letter from Santa, as well as a ton of other goodies. This box is not expensive, and will be a lasting treasure to your child. We haven’t received our call from Santa yet. I scheduled it for our convenience, for Christmas Eve. That way before Jacob goes to bed, Santa will be calling. This will be just an added plus! The video is really cute, but you only have 1 day left to order that video. You have to get it for your child, it is sincerely the cutest thing ever. While Santa is super busy this time of year, he has Elfred the Elf put your child on either the Naughty list or Nice list. You even get to say why they made that list. I love the video, and my mother in law ordered it, for the lasting memory. My son can show his kids, when he has them. 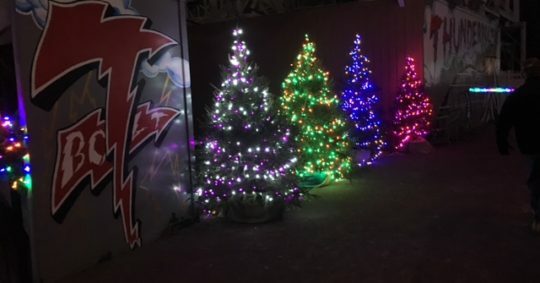 You can enjoy Holiday Lights, at Kennywood, with a discount. 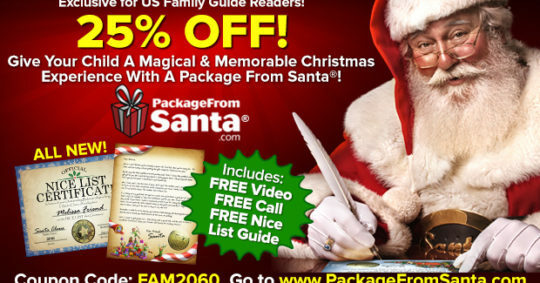 Through This Frugal Family, get a great discount. 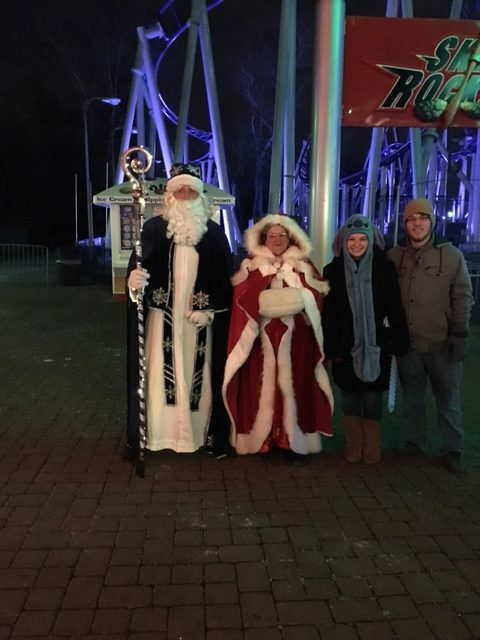 You will have as much fun as our family does, yearly, when you go see Kennywood’s Holiday Lights display. The best lights in the area. You can also see the Nutcracker, Rudolph, a Snowman, Gingerbread man, but most importantly, Santa Claus is there too. If you have little ones, Kiddyland is also opened. You can take the kids, and they can enjoy the rides. 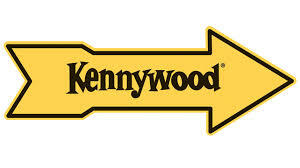 My son, age 6, has loved Kennywood since he was about 3. We have gone to the Holiday Lights 4 times. And, I can’t wait to go this year. 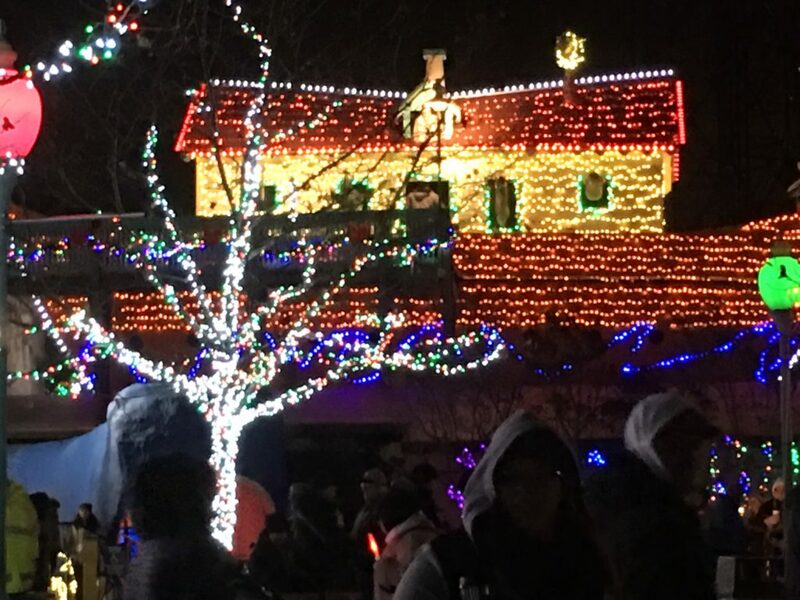 Watch for an upcoming review of the Holiday Lights.